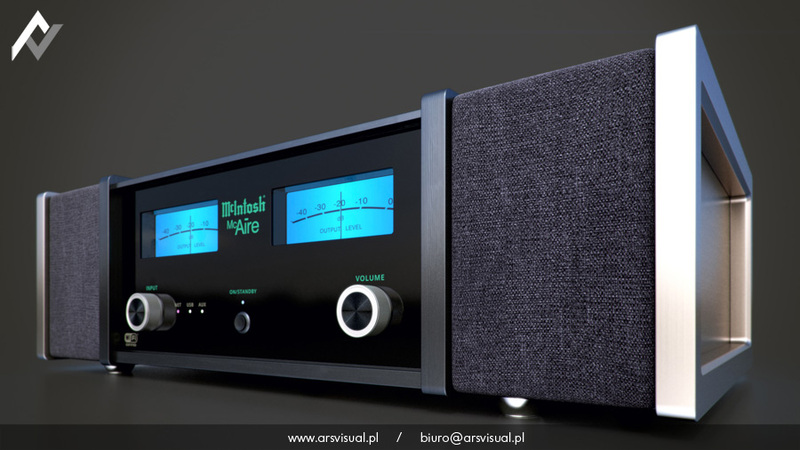 The legendary appearance and high quality music system McAire inclined to the maximum commitment and uncompromising approach to design. 3D model, lighting, composition and post-production required a very thoughtful approach. 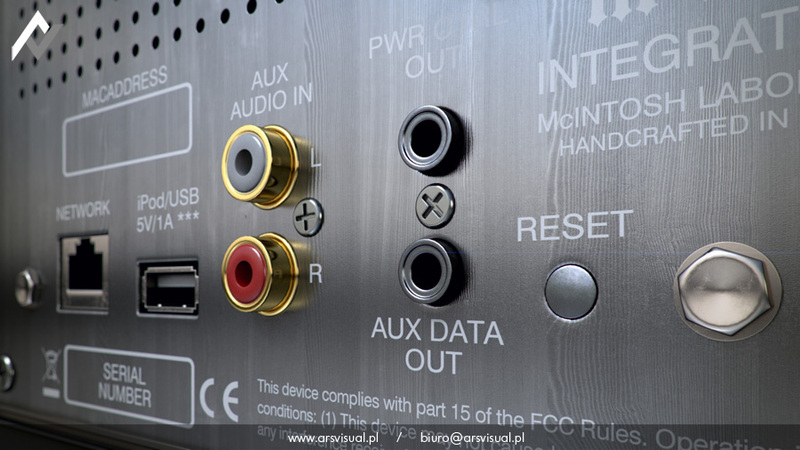 We are committed to the quality and precision as a priority for ArsVisual. 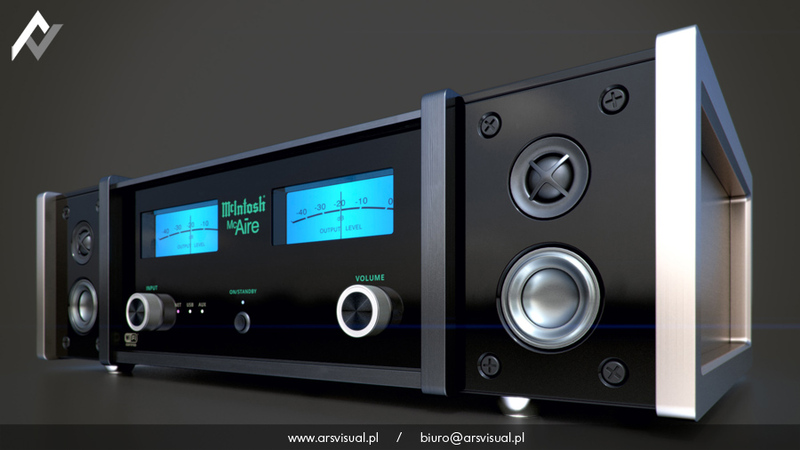 American company McIntosh is not a main player on a market in Poland. Their products that comes at high price are designed for very demanding music lovers who appreciate the extraordinary sound quality, but also stylish design. 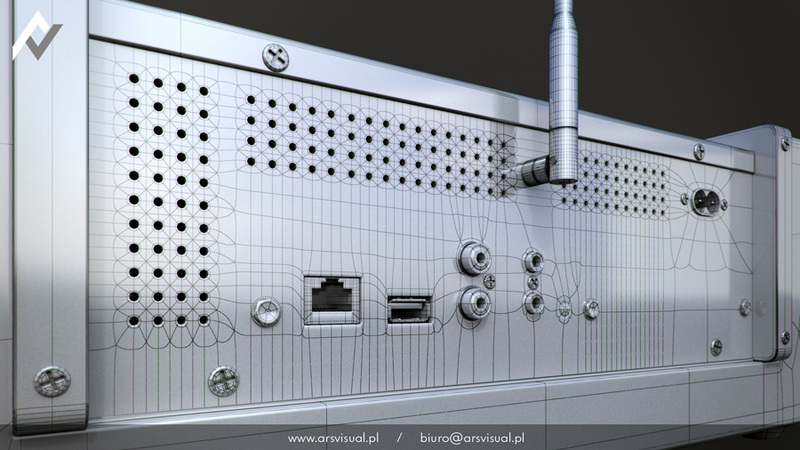 3D model made to the finest details enabled us to present the object in close-ups. In this approach, it is extremely important that textures and shaders are of adequate photo quality enabling to show the true nature of visualized items. 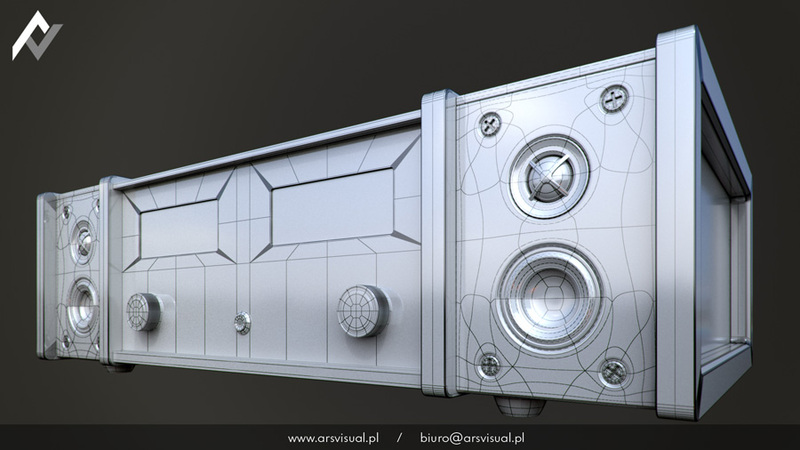 3D camera settings were also important together with additional effects like depth of field. 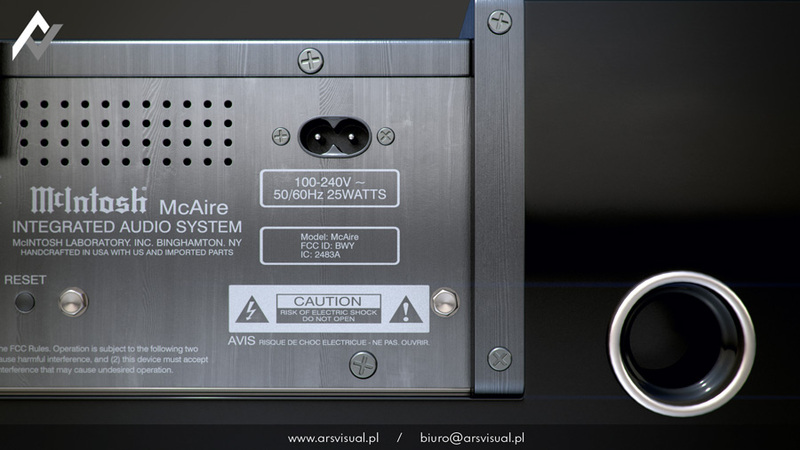 Below is our a3D model of McAire music system. 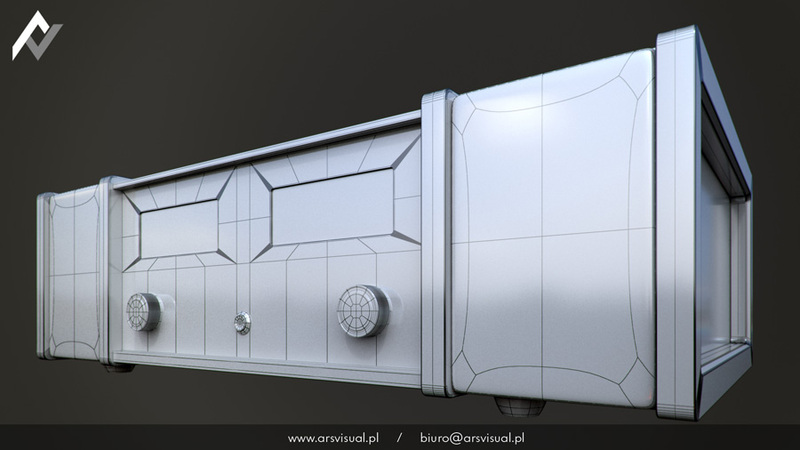 We tried to 3D replicate even the smallest elements of the system. 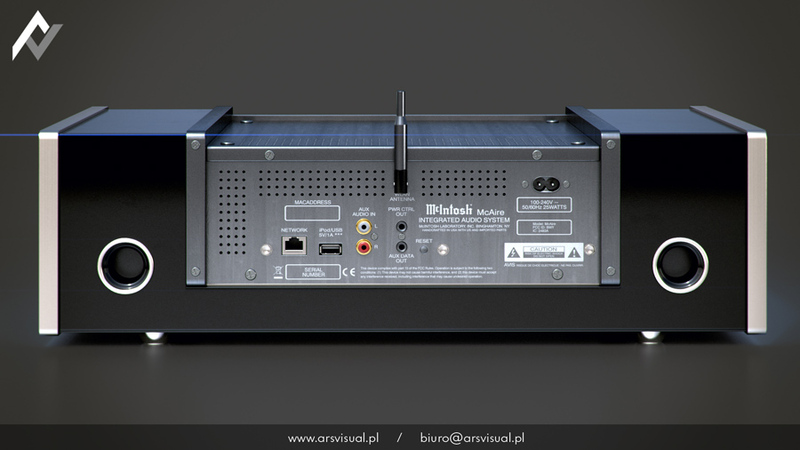 Therefore we have models of elements such as holes in the cover, interior and Ethernet jack and screws. 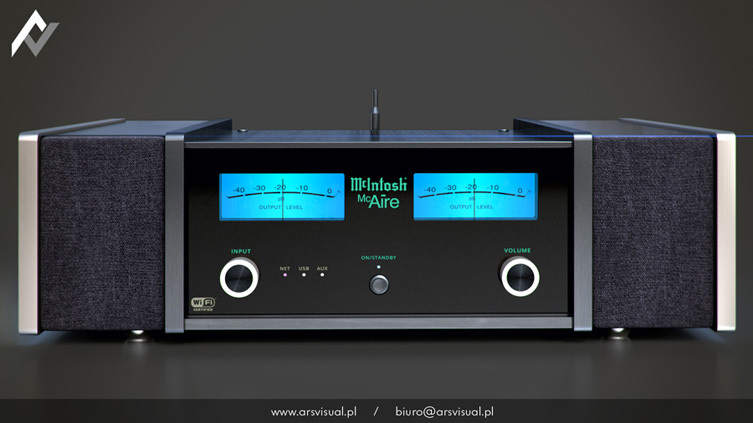 McIntosh McAire is equipped with two, three-way speakers. Each speaker has a diameter – 0.75 inches (with titanium dome), 2 inches (midrange), and 4-inch sound woofers. 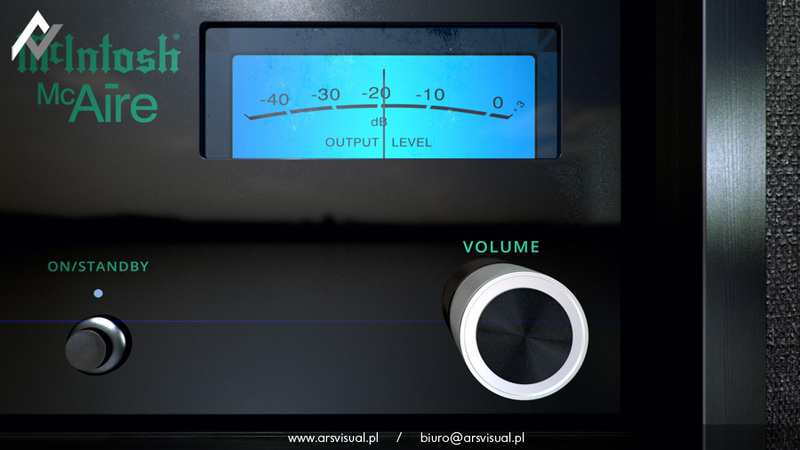 The bandwidth ranges from 25 Hz to 45 kHz. 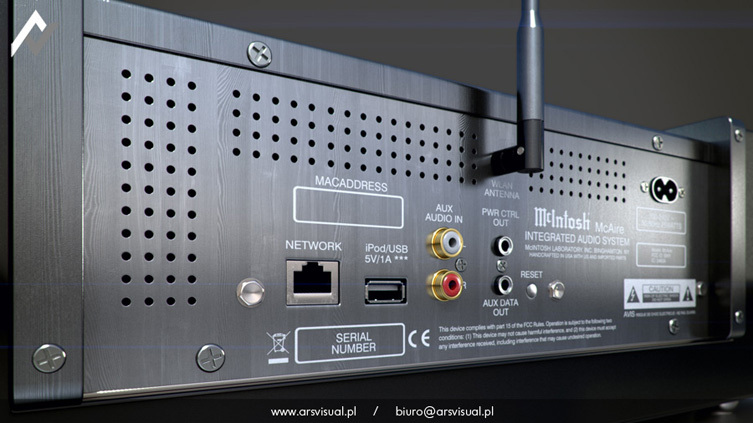 Hardware includes a wireless remote control. Dimensions (HxWxD) 20.3 x 49.2 x 43.2 cm.